This heavy-weight 246 lb. 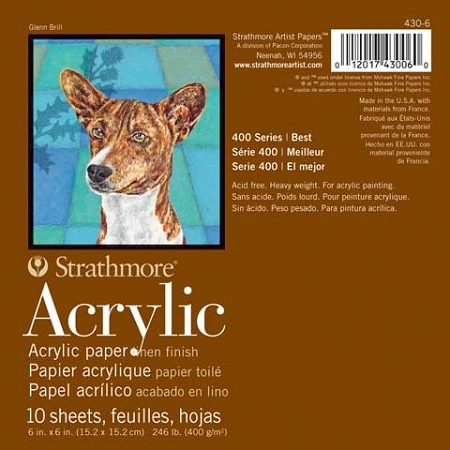 paper features a linen finish making it great for acrylic painting. Each tape-bound pad contains 10 acid-free sheets.